Puregold is a payment gateway using gold-backed cryptocurrency. Puregold is by Puregold.sg from Singapore, which has its own in-house factory producing gold coins and bars. PureGold.Sg was established in 2010 and have made a name for themselves producing quality gold and silver coins and bars with uniquely Singaporean iconography. As an established gold trader they now move into world of gold-backed digital payments. – PGG which is a cryptoasset backed by physical gold. PGT is a utility token issued by Puregold to be used to pay or offset transaction fees on the gold-commerce platform. PGT Token are available during the Pre-ICO and ICO, with 1 ETH = 700 PGT. 1 PGG = cost of 1 gram of gold + 5% commission for fiat. The variance between price of PGG and price of gold to be no more than 4%. 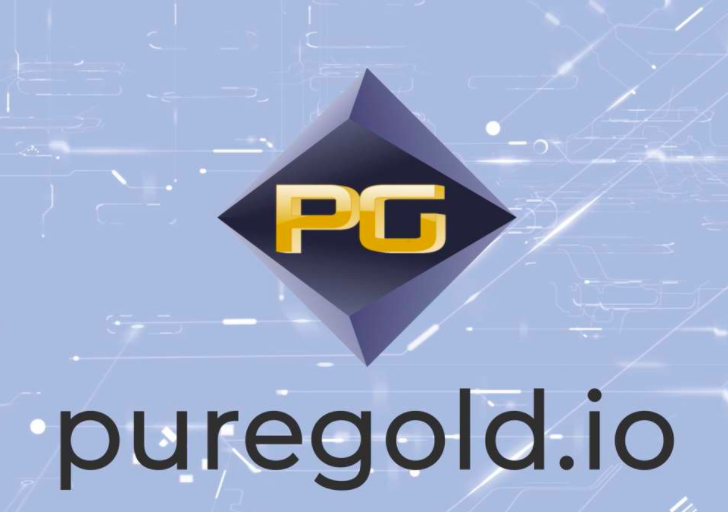 After the ICO, PGT can be converted to PGG at a rate announced by Puregold at that point in time. PGT holders can also be rewarded with PGG by Puregold, in proportion to the amount of PGT they hold. The physical gold is held in a decentralized storage unit, The Safe House Pte Ltd, which is a third party, separately audited security firm used by Puregold for gold storage. The physical gold is not an asset of Puregold; the gold belongs to the PGG token holders. The ICO will then run from 15 January to – 14 March, 2018. Apply to the Puregold ICO. SpectroCoin offers a fiat and virtual currency exchange with more than 20 currency options available. CEX.IO enables Ethereum purchases with Visa, MasterCard, bank transfer (SWIFT, SEPA), and cryptocurrency. EXMO accept USD, EUR, RUB, PLN, UAH. Once you have ETH you need to transfer it off the exchange to a wallet. For this MyEtherWallet is a recommended option by Puregold. From here follow the instructions given by Puregold. The PGT tokens will be swapped directly to the same wallet as ETH. – This is an unpaid news announcement and not an editorial endorsement. As with any financial commitment, do your own research the before investing. – This post contains affiliate links which may earn Goldscape.net a commission. As a ETH contract developer and the TEAM member to XGold Crypto I was curious this morning when recieving this email that you guys are promoting this company. Nice page, they alreay say the raised over 3Million dollars and have extended the ICO phase. We are three weeks in and have raised a little over a Million so It got me thinking. As a developer I love reading smart contracts and looking for holes and false hoods. The Smart contrcat number for these giys is: 0x28427B8E2dE18e76c75976dc84E8EFCe01f66bE2 with one ralt 3ETH transaction. It lines up with the intake address: 0x28427B8E2dE18e76c75976dc84E8EFCe01f66bE2 but I start diggin further taking about two hours to find the token here 0xebaf686ad9170ae3f3557edeabc75663dc2435d5 which has 23 transaction most of them IN not OUT. The biggest one out is who I believe the owner 0xebaf686ad9170ae3f3557edeabc75663dc2435d5 owningh over 1 Million coin and some of he other on the higer end 0f 80K 100K and evne 300K. I owuld not consider this a legit business. You should have me write an article for you on how to read a smart contrcat how to dig and how to do your research and Im not talking about looking at the TEAM members.